Brainiacs Starship was the largest map in the game - and it was used for the epic finale for Unmasked. Brainiac has always been on of the biggest villains in the DC Universe - and the finale had to reflect that. His ship is iconic - in the shape of a giant skull. 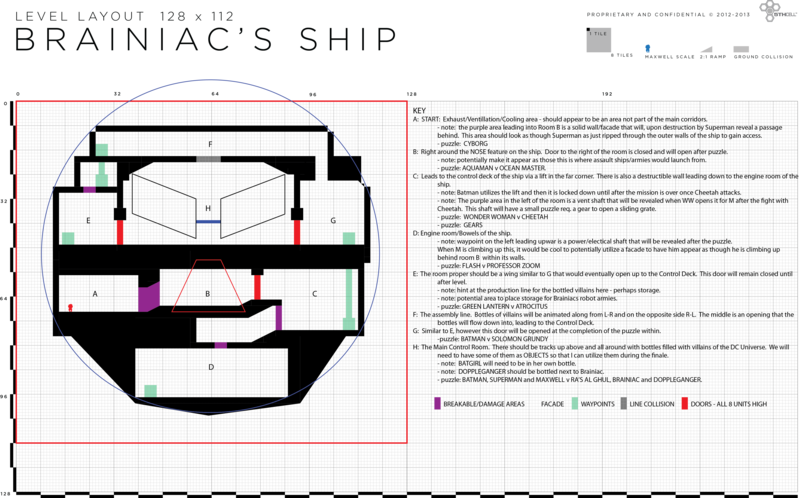 With that in mind, I designed a switchback layout that had the player zig-zagging through various levels of the ship. The largest problem with the map came when getting it to run on the 3DS. The finale was so large that it could not be loaded in one level for the 3DS and, as such, has to be broken out specially for the 3DS into three parts. 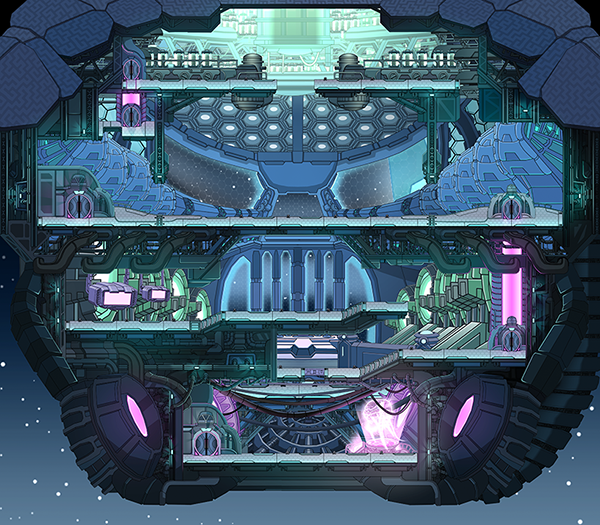 Looking out onto space, the Brainiac Skullship is an iconic part of the DC Universe and one that we could not change. With the restrictions in place, we designed something easily recognizable to DC Fans, staying true to the source material.